All weather premium rubber hose 5/8" x 50'.Anti kink heavy duty spring guard. Abrasion resistant cover. Nickel plated brass fitting.UV and ozone protection. 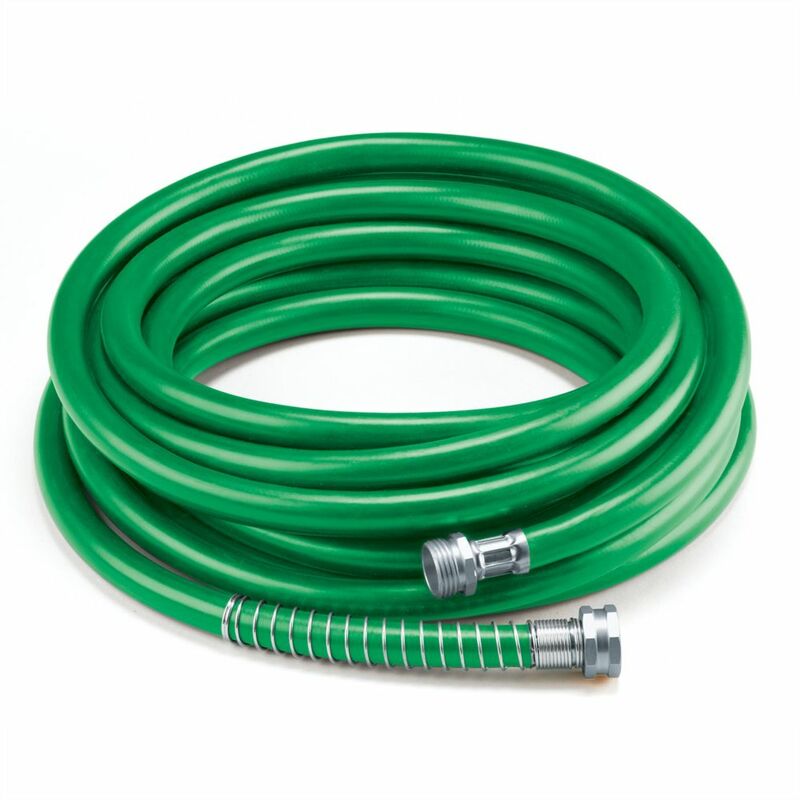 5/8" x 50' Premium Rubber Garden Hose - Green All weather premium rubber hose 5/8" x 50'.Anti kink heavy duty spring guard. Abrasion resistant cover. Nickel plated brass fitting.UV and ozone protection.